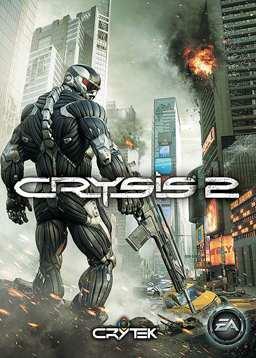 Crysis 2, developed by Crytek is a first person shooter game published by electronic Arts and released in North America, Australia and Europe in March 2011 for Microsoft Windows, PlayStation 3, and Xbox 360. This publication of the game had officially been announced on the 1st of June and is a sequel to the 2007 Video Game Crysis and Crysis Warhead. This story was written by Richard Morgan. It is the first game to showcase the CryEngine 3 game engine. Tips for Assault mode: "Assault is a game mode where one team has Nanosuit powers and only a pistol, and the other team are normal soldiers without Nanosuit powers, but have more powerful weaponry and laser pointers. It's an intense experience because you only have one life per round, and if you have the Nanosuit powers and go into thermal vision/Nanovision you can see the laser pointers of the soldiers. People use tactics like pointing their guns to the ground or pointing it toward the nearest object. It's a mode people graduate to. It's not to say that it's difficult, it's just when you've mastered the powers of the Nanosuit and you understand what it means it opens up a whole new level of gameplay." Be fast, Be invisible: "The big thing is it's often tempting to sprint all the time, but sprinting also uses suit energy. What you want to do is move from object to object, stop and catch your breath, and get your energy back. Distances are so well laid out in the game that you can do something like hide behind a car, and before you step out into the open, cloak, and then sprint across the open and go behind another car, cloak, get your energy back, and then move forward. It's about being invisible as much as you can and being fast. We give you the ability to sprint, power jump, and slide so you can move around the environment much faster than in other shooters. What this does is make combat faster." Kill cam: "You'll have a lot of tools at your disposal and the tools turn into situational techniques you can use. You see other people using them. When you watch a kill over the kill cam you can see 'this guy killed me that way, I didn't know I could get to that location, or I wonder how he got there.' Or 'man, I never thought about doing that before.' You start to take those as your own. There's a lot of monkey-see-monkey-do gameplay when you watch someone do something and you mimick it. So you spend a little bit of time playing the game with the Nanosuit, then you learn a bunch of techniques from other people, then you start employing those techniques, and then after a few hours you start to elaborate and embellish in ways you can't in other games. In other games you get a gun, you're stuck on the ground, you shoot a guy, you get some experience points, you maybe take his gun, you unlock something, and you do the whole cycle over again. For this, it's like really about showmanship. Knowing that you are perched up on this ledge or in a graveyard or on top of a mausoleum, a guy's running underneath you, and you jump down and smash him from above, he'll see it on his kill cam. There's a lot of showmanship there and I can't wait to see what people capture and put up on YouTube. Crazy kills and crazy streaks." The 3D Experience: "If you have the opportunity to experience Crysis 2 in 3D it's a phenomenal experience to be able to play it. We've been researching the technology for two and a half years. It's not something we wanted tacked on. We wanted it to be a really robust 3D implementation that really enhances the way you see and experience the game. We want you to play for a really long time without bringing eye fatique or strain. So instead of bringing things out of the screen at you, which causes you to near-focus on stuff, and then go back to looking into the distance because you're trying to look at the game world, if you do it that way you'll get eye strain fairly quickly? You'll get really fatigued and only get to play a little bit at a time. What we wanted to do is start at the screen and then makes everything 3D deep into the TV, so it's a different kind of approach. We want you to experience Crysis 2 in that way." In the Game Crysis 2 the player takes the role of a Force Recon Marine called Alcatraz. Similar to its others games, it provides freedom to customize weaponry and abilities. New York City has been dubbed an "urban jungle". The urban atmosphere offers new options with relation to progressing and planning attacks. Players are able to navigate between floors and buildings, as well as a destroyed cityscape. "Alcatraz" is thus the successor to Jake "Nomad" Dunn – the protagonist from the first game. As Alcatraz, players gain power of the Nanosuit 2.0 from Army Delta Force officer Laurence "Prophet" Barnes. He returns from the original Crysis, where he was Nomad's commanding officer in Raptor Team. The aliens seen in the original game have undergone a majorchange in design, leaving out the ancient, tentacled exosuits seen in the first game for high-tech humanoid armored war machines that stalk Alcatraz through the ravaged New York City. Cloaking: This refers to firing a shot or throwing a grenade while cloaked drains ones energy meter completely. If a sneak attack is being planned or a grenade is being planned to be thrown, hit Armour, attack and then again re-cloak. This is faster than uncloaking as it saves one entire energy bar. Grab: This is an awesome weapon for stealth killing. Even when one is cloaked, grabbing an enemy uncloaks for a moment grab the enemy, drag him and kill him. Slide: This is really fun. This makes one immune to enemy fire against human soldier. Another important Crysis 2 game tip is that one can MELEE while sliding. A kick while sliding sends enemies flying and does great damage. Weapon Recharge: Certain Weapons like the Mike Microwave gun is not the one use only. These can be recharged with alien Nanites. One can press X to gain this weapon instead of walking over it. The Mike gun can also be reloaded with Gauss Sniper Rifle. Air Stomp: If one lands directly on an enemy while Air Stomp, one will not lose much energy and at the same time it will instantly kill the enemy.